Vigek smoke alarm is an industry-first smoke alarm that is connected to the network via WIFI, real-time monitoring of smoke. When it detects the smoke above a certain threshold,the Vigek will send an alert to your phone as well as sounding an alarm at the scene. The camera will also activate, and transmit photos from the alert zone to your mobile device. Never worry about False Alarms again! 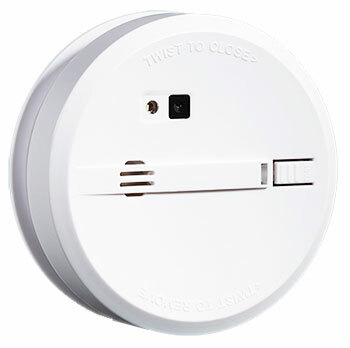 The Vigek smoke alarm has all the features of a normal smoke alarm. Once its industrial-grade smoke sensor detects certain amounts of smoke, the piercingly loud 85 dB alarm alerts anyone physically near of the potential danger. The bonus functionality of the Vigek truly shines when you are away from you home. when the alarm rings at the scene,the Vigek will also send alerts to you phone at the same time.You will always be aware of potential house danger,even when you are thousands of miles away. The Vigek smoke alarm contains a camere.Once the alarm is triggered,it will automatically begin taking photos of the area in which it’s placed and send them to you phone.This lets you determine whether the alert it is a false alarm or not,and act accordingly. One can’t always be focus on the phone. So it’s natural that you might worry about missing an alarm. Don’t worry! One Vigek Smoke Alarm can be connected to multiple mobile phones.In case of emergency,the alarm will push messages and the photo stream to all associated phones.You and your family can work together to maintain the family’ safety. Vigek smoke alarm is battery powered. In standby mode,the system operates at the same low power consumption level as an ordinary smoke alarm. Just when the alarm is triggered,MCU/WiFi/Camera circuit powers on and goes to work. You’re supposed to test smoke alarms monthly. But 9 out of 10 people don’t. When Vigek smoke alarm’s battery gets low,a short alarm rings once every 30 seconds, a message is also sent to app to remind users to replace battery. Vigek smoke alarm configuration is simple and fast: Make your device into config mode, selet your Wi-Fi network, press Start button and wait for 10-20 seconds for automatically complete the configuration. When you install one or more Vigek smoke alarms in your home, they work independently of each other.You can control them all from one Vigek smoke alarm app, which can be downloaded from Google Play or at the topof the page.